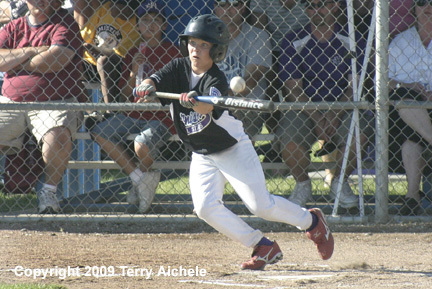 HERMISTON - The Hermiston 11/12 year old baseball team defeated Deschutes 15-0 on Sunday. 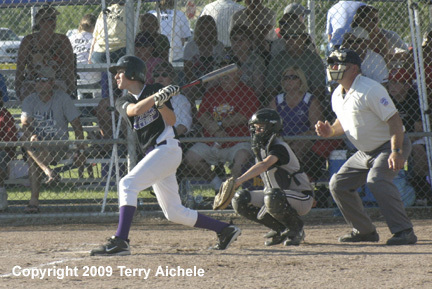 Hermiston was the visitor in the game and went to bat first. RJ Robles led off the top of the first with a hit to centerfield. 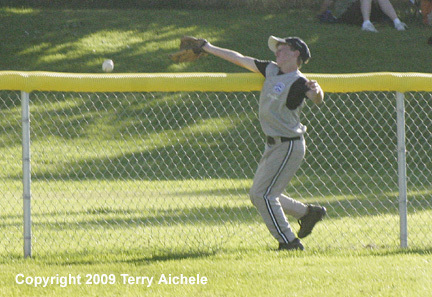 The third batter Nychal Gritz blasted a homerun to deep centerfield. Hermiston took the 2-0 lead. Second batter in the top of the third, RJ Robles of Hermiston, hit to centerfield. He made his away around the bases and was at third base when Gritz was at bat. Robles then stole home on a wild pitch giving Hermiston the 3-0 lead. Early in the top of the fourth Chase Root of Hermiston hit down the thirdbase line and made it to second. 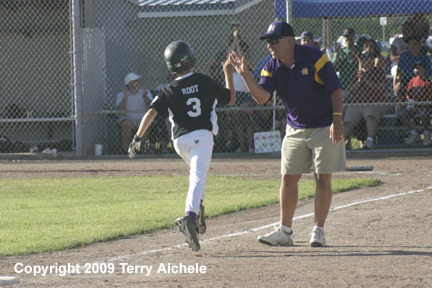 Keegan Crafton then hit over secondbase allowing Root to score and giving Hermiston the 4-0. In the top of the fifth Gritz hit deep to centerfield getting on base. The next batter Cole Schwirse also hit to centerfield driving in Gritz. 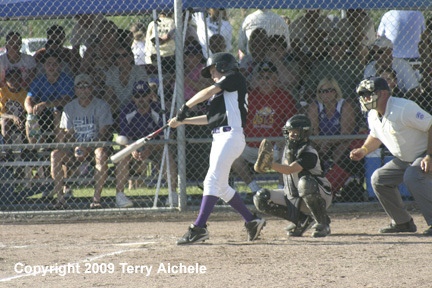 Hermiston led 5-0. 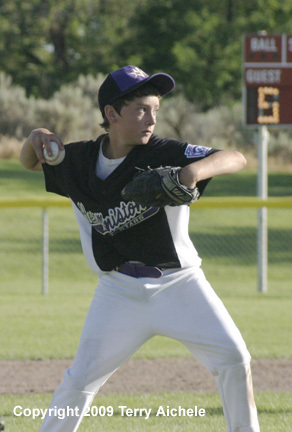 Hermiston came out smoking in the top of the sixth. Chase Root blasted a home run over the centerfield fence. Next up Keegan Crafton blasted his own homer over right center field. Hermiston led by the score of 7-0. 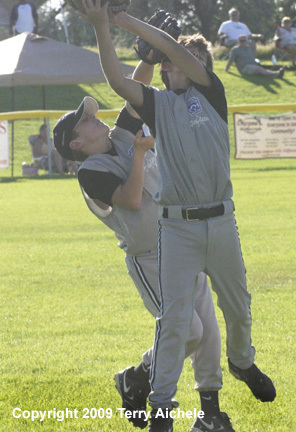 Hermiston put two runners on base - Jay Lindeman and Austin White. Lindeman made it to third on a ground out by Robles. Lindeman stole home on a wild pitch giving Hermiston the 8-0. Gritz then hit to the pitcher who overthrew firstbase allowing White and Cody Cummings to score. Cole Schwirse hit a long ball to rightfield scoring Gritz. The next batter, Keith Anderson hit a grounder to the pitcher who threw wild to first which allowed Schwirse to score. Hermiston led 12-0 at that point. Jay lindeman then hit to leftfield scoring Root from third. White then hit down the thirdbase line which scored Crafton. Bobles then hit to centerfield which brought in Kindeman. 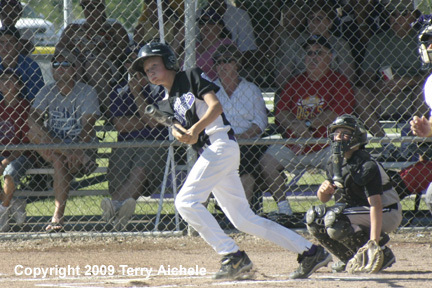 When the big sixth inning was done Hermiston led 15-0.